MANILA, Philippines. “Okay.” This is how Rolly Mira Panesa, the security guard mistaken for a ranking officer of the Communist Party of the Philippines (CPP) and detained for almost 11 months at Camp Bagong Diwa in Taguig City, is doing three days after his release on Friday night. Yet “okay” is woefully inadequate a description for someone who said he was repeatedly tortured during detention, and whose photo–face badly bruised and swollen–has become the latest indictment of human rights observance in the country. 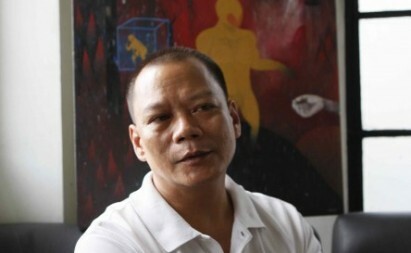 Clad in a white polo shirt and pants when he faced the media on Monday afternoon, Panesa seemed meek, almost. “I am thankful for my freedom,” he said, recalling how a meal of pizza and pancit palabok awaited him at the office of human rights group Karapatan when he was released. 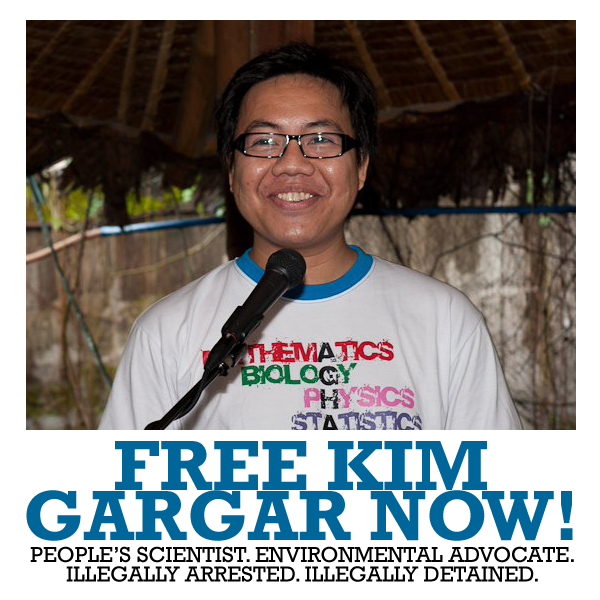 Karapatan had been providing him support since he was detained. He also has a job waiting for him at the same security agency he had been working at for 17 years before he was arrested. Things might just return to normal for Panesa after the Court of Appeals ruled on Tuesday that he was not Danilo Benjamin Mendoza, a member of the CPP’s Central Committee and the secretary of its Southern Tagalog Regional Committee. The latter is wanted for rebellion. Panesa is free again, but his body bears the traces of his ordeal. He can’t hear too well with his right ear now, as his eardrum was damaged when he was supposedly subjected to torture during his arrest on October 5 of last year in Quezon City. He doesn’t remember much of what happened then. “I only remember my wife shouting, and me being shackled by the soldiers. They flipped me onto the ground.” The world went black after that, he said. He was allegedly tortured to make him confess to being Mendoza, with Karapatan showing a photo of his battered face to the media shortly after the incident. He was then taken to Camp Vicente Lim in Laguna with his companions at the time: his common-law wife Maritess Chioco, her daughter Conierey Garcia, and the latter’s husband Peter Que. “When I woke up it was already Sunday morning, and my wife was dressing me up.” On the same day Garcia and Que were released. They were arrested on a Friday. Life was difficult in jail, Panesa recalled, even though he had many friends there. Food was strictly rationed: one piece of tuyo as a viand for lunch, another piece for dinner. Breakfast was sopas or tsamporado. “It was not properly cooked because the ingredients were not enough. They had to budget what the government gave,” Panesa said. Being imprisoned also left him too much time alone with his thoughts.“Every day I would wonder, why did this happen to me? I never expected this to happen,” he said. To entertain himself, he would watch the television, walk out into the hallway, and look down from the fourth floor of the Special Intensive Care Area (SICA) where he was detained with political prisoners and drug lords. He would also go to the rooftop of the facility every now and then. Now that he is free, he plans to file a case against the persons who arrested him. “What they did to me was inhuman. And I am not the person they said I was,” he said. He added that he was not the only one who was imprisoned on false charges. He believes the military will continue their surveillance on him even though the court has declared that he was not a rebel. Nevertheless, it is gratitude that takes precedence over whatever negative emotions there are in his heart. “I am thankful for the lawyers who supported me. To Karapatan, to the members of the Church who supported me. They were always present during my hearings,” he said. The National Union of People’s Lawyers will continue to represent him to see that justice is served to their client. According to Atty. Ephraim Cortez, they are still studying the llist of persons to file a case against, but the police who arrested Panesa and their superiors are definitely included. Charges will include violation of the anti-torture law, violation of the rights of persons under detention, unlawful arrest, perjury, and incriminatory machinations. The last means fabricating a story to jeopardize an innocent person, specifically so that he or she can be jailed or implicated in a case. They plan to file the case at the Department of Justice on Wednesday. “It is clear that this was not a simple mistake. They continued to manufacture, to (present) perjured witnesses, to detain (Panesa) notwithstanding the fact that at the very beginning they knew that he was not Benjamin Mendoza,” Atty. Cortez said. “They should be held accountable for what they did,” he added. In fact, in the female quarters of the SICA, said Cortez, was a certain “Evelyn” who was an apparent case also of mistaken identity. The person she was supposed to be? “Bueno”, the wife of Mendoza, the rebel leader that Panesa was being forced to admit as himself. The trend of persons being imprisoned on mistaken identity continues, said Cortez, because of a “bounty list”. Another counsel for Panesa, Atty. Julian Oliva Jr., said the “military’s attempts to violate Rolly’s rights and continue to detain him illegally persisted even after the decision was out,” taking almost a day to prevent him from leaving. “It was the persistence of those who helped Rolly that swung (in his favor) so that he was released on Friday at 10 p.m.,” he said.